Re: What are you Baking today? I've had like 5 already, but who's counting? Burnt my tongue on a hot, scorching stray raisin that hit the counter too. I just took out a pumpkin pie and put in a French Apple Pie. I used Mrs. Cunningham's recipe for the pumpkin pie and Betty Crocker's recipe for the apple pie. I don't eat sweets often, but those cookies and pies look terrific! I don't normally either Lee ( eat a lot of sweets). I think they're more enjoyable when one doesn't live alone. 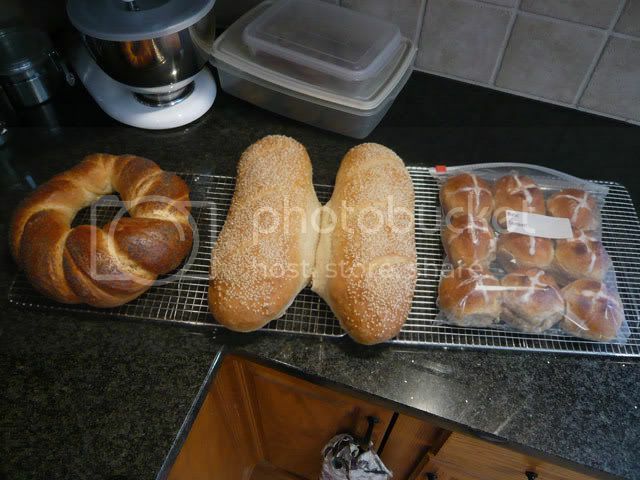 Not sure about today, but I was a busy camper yesterday with Hot Cross Buns, Easter Bread and Italian Bread...Oh, and a batch of cake cookies not shown. Looks like you got another KA mixer. I just made 2 sweet potato pies for tomorrows dinner at a friend's house. Last edited by Shermie; 11-21-2018 at 05:00 PM. I'd seen that piece, Chowdah! Nice what she's doing there with pie art. I'll take the one with Peanuts characters. Beautiful Pic work, Peeps ! I'm betting they are as good as they look. Here's the Marion Berry Pie I made and can't wait to try a small piece. Thank you Sass and Lucky. I put a new thermometer in the oven and it is heating 100 degrees hotter than what the oven is set on. I'll be calling Mr. Appliance tomorrow. I turned the oven down 100 degrees and my gratin came out just right. Mr Appliance is coming Monday. Today i'll bake cookies for church tomorrow and will adjust the oven according to the thermometer. Matt made this frangipane for their Thanksgiving dinner. Not a baker, not at all, but these came out pretty good. I was looking for a more chewy peanut butter cookie, but these came out more like a peanut butter shortbread cookie. 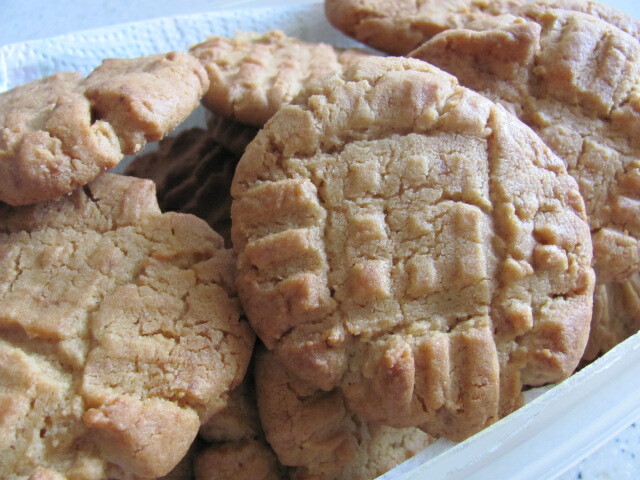 I used the classic peanut butter cookie recipe from allrecipes. I'll probably put a little dab of nutella on the top before eating. I have milk! I think those are my favorite cookies after shortbread. Nutella on top sounds delicious! Made the Yorkshire Puddings ahead of time to accompany dinner tonight. "A great, quick and easy recipe for Yorkshire pudding. Everybody loves 'em!" Last edited by QSis; 02-14-2019 at 01:54 PM. A Pillsbury caramel apple cake mix, with buttercream frosting. I was going to buy the caramel frosting, but thought it would be tooooo much. Gee, guess who had the first piece? 6 down, 6 to go. there is no such thing as a bad "home baked" anything . . .
my worst home apple pie beats the stars off any Michelin eclair. oh. wait.... eclair, yeah....they good. ask me later. I could eat eclairs until I explode. Last edited by Sass Muffin; 03-03-2019 at 06:00 PM.